The human race learned long ago that cooking meat before eating it would protect them from parasites. Since then this practice of cooking has grown to include all types of foods and is now considered an art. 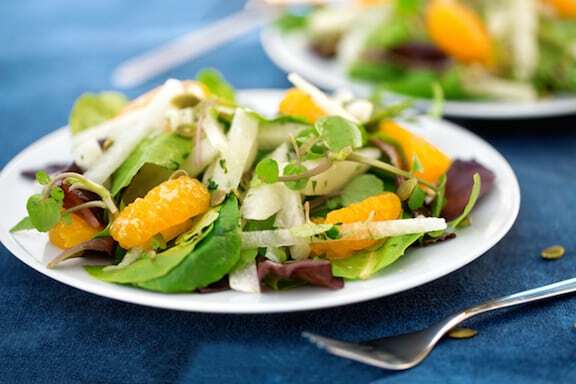 The average meal generally doesn’t include many raw elements, except for the leafy green salad. Here we’ll consider 10 benefits of eating raw food. However, the advantages of eating raw foods bring nature’s intentions into focus. When I speak of eating raw I’m referring to fruit, nuts, and vegetables, which taste good to the majority of humankind in their basic simplicity direct from tree, bush or vine. I realize it isn’t easy to simply abandon thousands of years of tradition and revert back to 100% raw food. Margaret Mead once said, “It is easier to change a man’s religion than to change his diet.” So to the point, here are the benefits of fresh, whole raw foods, which may lead you to find a greater place for them in your diet. It’s never all or nothing! Raw foods are better quality, therefore you eat less to satisfy your nutritional needs. The heat of cooking depletes vitamins, damages proteins and fats, and destroys enzymes which benefit digestion. As your percentage of raw foods increases you feel satisfied and have more energy on smaller meals because raw food has the best balance of water, nutrients, and fiber to meet your body’s needs. Raw foods have more flavor than cooked foods so there is no need to add salt, sugar, spices, or other condiments that can irritate your digestion system or over stimulate your nervous system. Raw foods take very little preparation so you spend less time in the kitchen. Even a child of 5 or 6 can prepare most items for breakfast, lunch or dinner. This gives children a sense of self-esteem and independence, not to mention the break it gives Mom or Dad. When you eat raw there’s little chance of burns, unless you’re in the middle of a forest fire or out in the sun too long. Just think! No burns to your tongue, the roof of your mouth, or fingers, and many fewer house fires. Eating a diet of raw foods can reverse or stop the advance of many chronic diseases, including heart disease and cancer. Remember, cooking creates free radicals, which are the major cause of cancer. When you lower the number of free radicals your cells are bombarded with, you lower your risk of cancer. Heartburn, gas, indigestion, and constipation can become things of the past. As long as you combine raw food properly, you will soon reach a level where you no longer suffer from heartburn, gas, indigestion or constipation. Eating raw is environmentally sound. With humanity on a diet of raw foods, the food industry would close up shop and take up organic gardening. This would save us enormous amounts of natural resources used to produce power for these industries. Nuclear power would be clearly unnecessary. And think of how many trees and oil reserves could be saved without the need for the paper and plastics used in packaging our processed foods. There would also be less pollutants released into the atmosphere when all the cooking stopped and more oxygen produced from all the new orchards and gardens, thus helping to slow global warming. Eating raw saves you money — on food, vitamins, pots and pans, appliances, doctor bills, drugs, and health insurance. So don’t waste your food, yourself, and our planet by cooking what you eat. 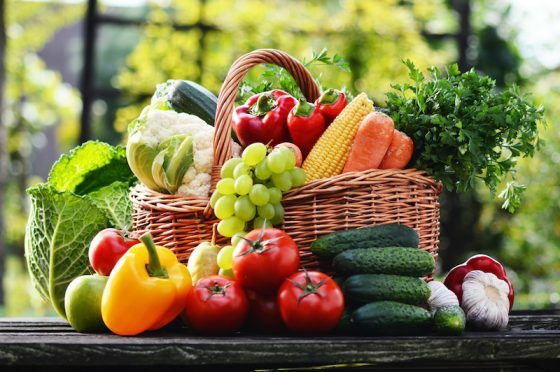 Fruits, nuts, and vegetables which are whole, fresh and raw are brimming with life and have the ability to transmit their life force directly to you. Susan Jorg has been a raw foods enthusiast for more than two decades, and grows organic produce on her farm. For more ways to stay healthy and go raw, visit VegKitchen’s Raw Vegan Kitchen. How safe are we with GMo when eating them raw food?